In the vast panoply of things that can get thrown at your car, snowballs are possibly one of the least offensive. They rarely cause damage, they’re made of water, and, very often, the intent is more mischievous than malicious. 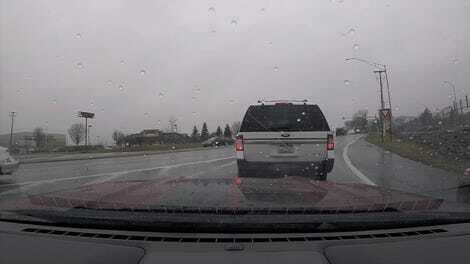 That’s why the amount of raw rage and wrath seen here by this driver in Seattle is so confusing. It’s just a snowball. 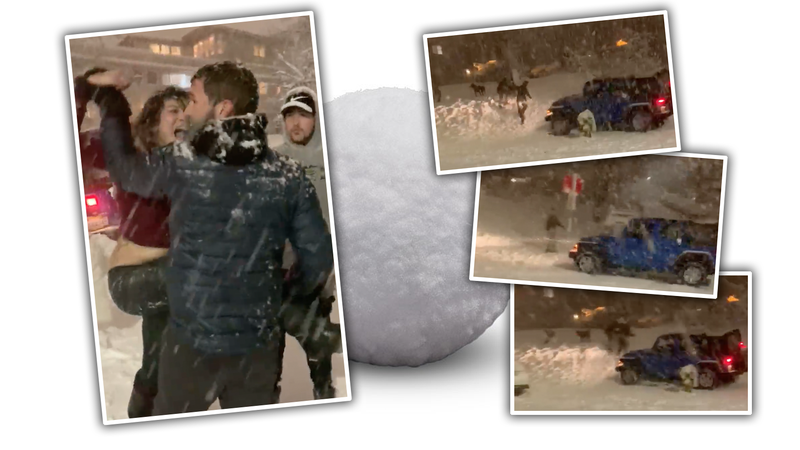 The incident happened last night at around 8 p.m. A group of friends were having a snowball fight in the area, including across Thomas Street, where the incident occurred, and at some point a woman in a blue Jeep Wrangler drove by, and the Jeep was struck by a snowball. It’s not clear if the snowball impact was intentional, or just an accidental impact from driving through a snowball battle-zone. I don’t understand this at all, for many reasons. First, it’s cold! If some snowball did manage to get into the car, you’d think an irritated honk and then driving on would be the best response, because it keeps you in the warm car and not out there in the cold, wet snow. Plus, even if you knew for certain the snowball was targeted right at you, I don’t think attempting to hit someone with your car is an acceptable retaliation. Plus, in her attempt to smack into the snowball-flingers, it looks like she’s put herself in a snowbank that’ll be trickier to get out of. And it’s near a hydrant. Really, there’s not a lot of good decisions being made here. That includes the immediate attempt to assault people. After getting stuck in the snow, she put her keys between her fingers, got out of the Jeep and tried to fight someone. Damn, keys between the fingers? Also, I don’t usually associate pot with this sort of agressive behavior, so maybe pay attention to what you’re smoking if you’re in the Seattle area. That doesn’t seem like an enjoyable weed experience. 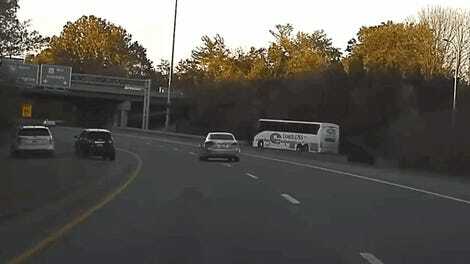 The woman, whose name has not been released, is facing DUI and reckless driving charges. Also, her midriff must be freezing.